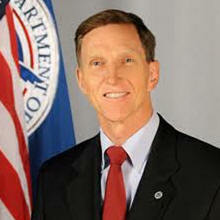 February 23, 2011 - Transportation Security Administration (TSA) Administrator John S. Pistole this week joined the International Civil Aviation Organization (ICAO) Regional Conference in New Delhi, India, where the 14 member states in attendance adopted the Security Roadmap on Aviation. ?I applaud the adoption of the Security Roadmap on Aviation, which will strengthen global security measures to address ever-changing and emerging threats,? said Administrator Pistole, who returned from New Delhi yesterday. ?This roadmap will assist member states in protecting global aviation from terrorist and other security threats.? The roadmap identifies the actions the member states will take to strengthen security screening procedures by ensuring that professionals are appropriately trained and equipped. Key elements include air cargo security and capacity building. This agreement will enhance existing aviation security harmonization efforts of countries in the region, as well as the concepts in the ICAO Declaration on Aviation Security. After the conference, Administrator Pistole met with aviation officials in India to discuss opportunities for further collaboration and sharing of best practices. The Department of Homeland Security (DHS), including TSA, continues to engage its international security partners in the joint mission of strengthening global aviation security. DHS and TSA have entered into a number of bi-lateral and multi-lateral agreements with foreign security partners and have worked with the aviation industry to continue leveraging knowledge of foreign cargo screening practices to strengthen air cargo security and fulfill the 9/11 Act. Last October?s adoption of the ICAO?s Declaration on Aviation Security forged a new foundation for aviation security that will better protect the entire global aviation system from evolving terrorist threats. Through the Declaration, the Assembly recognizes the need to strengthen aviation security worldwide and urges member states to take steps to enhance international cooperation to counter threats to civil aviation.